Vibrant red color with a touch of sparkle that makes it look as snowflakes landed on it. Shows up beautifully on lit tree. 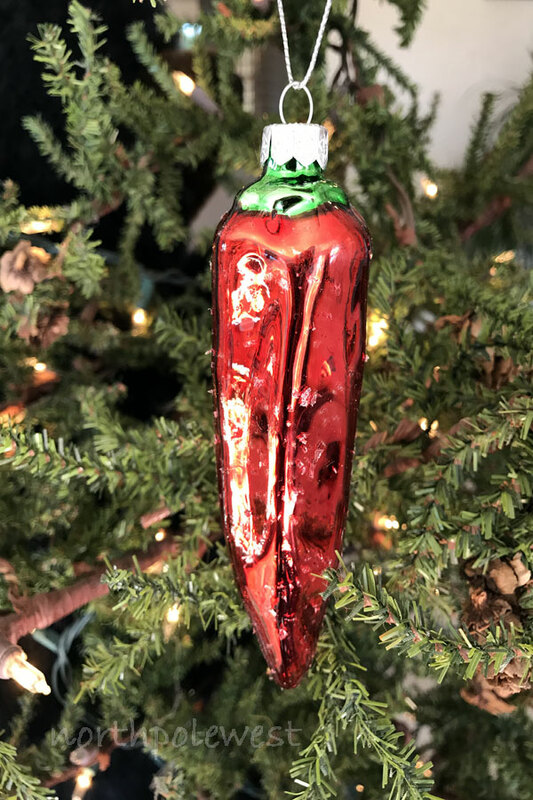 This is wonderful for the southwestern, chili or western theme Christmas. 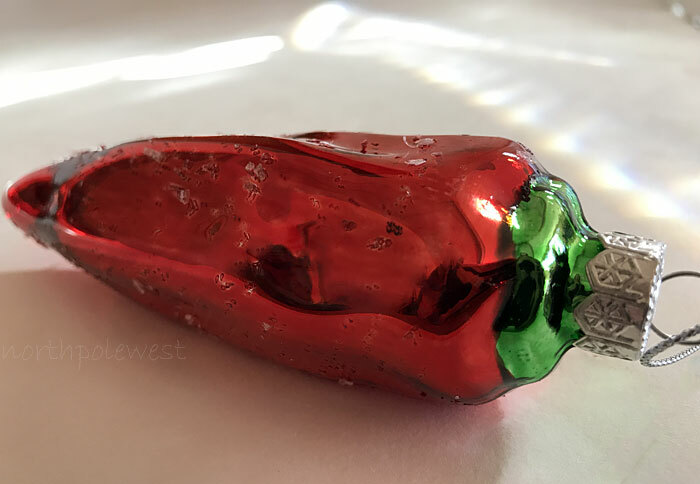 Glass 6"
Vibrant red color with a touch of sparkle that makes it look as snowflakes landed on it. Shows up beautifully on lit tree. 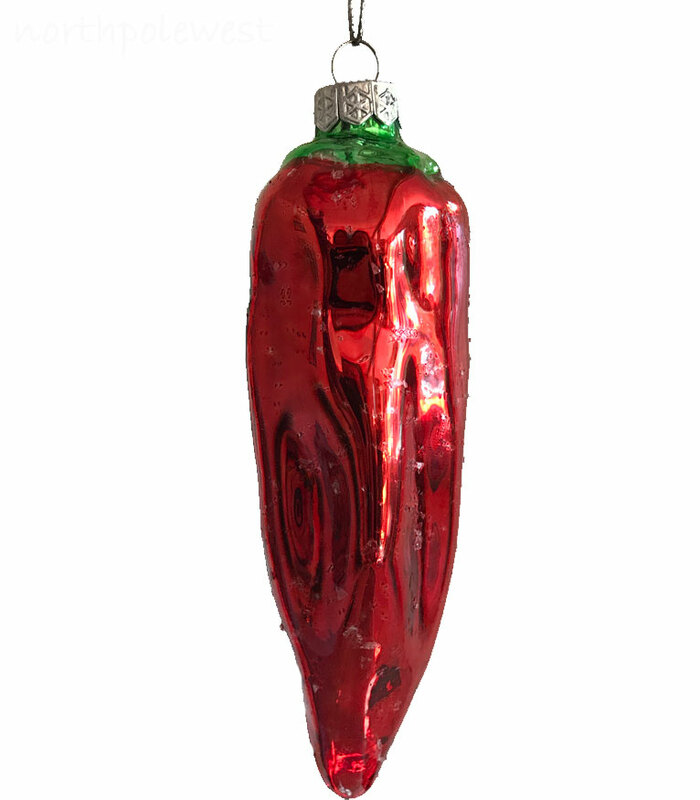 This is wonderful for the southwestern, chili or western theme Christmas. Add it anywhere you want an extra pop of red. Great price too!